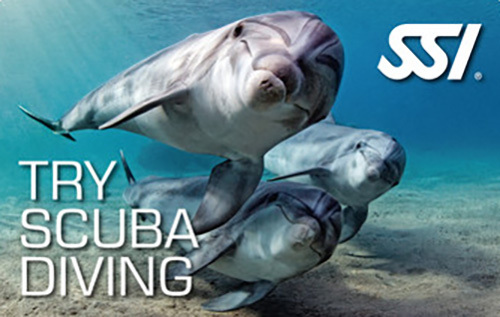 Would you like to get an insight into the fascinating world of diving? Then the SSI Try Scuba or Try Scuba Diving program is just right for you! Here you will learn the basic diving skills in a limited open water (pool) or in open water. There are no prerequisites for participation in the course. However, incoming divers should be at least 8 (limited open water) or 10 years old (open water). The special: The theory lessons of the diving course you can complete with us completely free of charge. So why not even sniff? The Try Scuba Diving course is also an ideal starting point for the next generation of divers.